FAIRHAVEN, Mass. 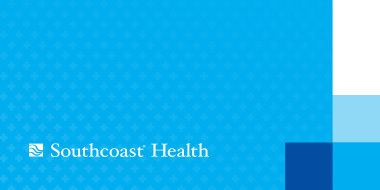 – Southcoast Health today announced that Aleksander Feoktistov, MD, rheumatologist, has joined Southcoast Physicians Group, and will see patients at the Southcoast Center for Primary and Specialty Care at 208 Mill Road in Fairhaven. Dr. Feoktistov’s fields of interest include diagnostic musculoskeletal ultrasound, treatment of musculoskeletal, connective tissue and systemic autoimmune disorders. Prior to joining Southcoast Physicians Group, he was the President of Rheumatology and Autoimmune Disorders, LLC, where he – apart from providing direct patient care – managed the team and oversaw practice operations. Since 2007, Feoktistov has served as Assistant Professor of Medicine and Clinical Director of the musculoskeletal ultrasound training program in rheumatology at Tufts University School of Medicine in Boston. After receiving his doctorate of medicine from the Riga Medical Institute in Riga, Latvia, Dr. Feoktistov completed his internship in internal medicine at the St. Luke’s-Roosevelt Hospital Center at the Columbia University in New York, followed by a fellowship in rheumatology at the New York University and Hospital for Joint Disease. Dr. Feoktistov is a member of the American College of Physicians, the American College of Rheumatology and the American Institute of Ultrasound in Medicine. He has been awarded the “Pioneer Certificate” in musculoskeletal ultrasound by the American Registry for Diagnostic Medical Sonography, and has published more than 20 scientific medical papers and articles in leading journals. Dr. Feoktistov is board certified in rheumatology. He is fluent in Russian and currently resides in Sharon with his family. Appointments can be made by calling 508-973-2212.